The Murray cod is Australia’s largest, longest-lived, and most iconic freshwater fish. It is a most impressive fish – having been recorded as living over 50 years of age, weighing over 110 kilograms and measuring over 1.8 metres long. It is also recognised as one of Australia’s most aesthetically beautiful, with a grouper-like shape, a creamy-white underside and a spotted, green pattern on its body and head. Murray cod are endemic throughout the Murray-Darling Basin, though are most prevalent in the lowland regions of the Riverina. Adult Murray cod will often have moved hundreds of kilometres through our river systems over their lives. The Murray cod has a marine ancestry – fossil evidence from the Miocene epoch suggests the ancient ancestors of Murray cod to be an ocean species. Today, Murray cod both resemble and are scientifically related to marine groupers. The Murray cod is undoubtedly Australia’s most culturally important fish. It was critical to the lifestyle, diet and mythology of the Indigenous Australian tribes living along the Murray River, and played a central role in the creation story of the Murray River and its other fish species. The most prevalent creation story involves a gigantic Murray cod, known as Ponde, fleeing down a small creek away from Ngurunderi, a master hunter. The Murray cod’s urgent movements widen the river and create its famous bends and billabongs. When finally speared at Lake Alexandrina, the hunter divided and threw pieces of the Murray cod back into the water, naming them for the fish they would become – golden perch, bony bream, silver perch and so on – before throwing the head last of all, which he told to “keep on being Ponde“. After European settlers discovered the river systems of the Murray-Darling Basin in the early 1800’s, Murray cod also became an important and popular food source for ordinary Australians – especially from the 1850’s through to the 1950’s. Sadly, however, it was overfished almost to the point of extinction during this time. Eventually, as awareness grew of the dire condition of Murray cod populations, voluntary bans on commercial fishing and size restrictions were introduced, and consumers gradually turned away from incorporating Murray cod into their diets. However, it was not until the late 1970’s before conservation efforts to save and revive wild populations of Murray cod began in earnest with the establishment of government restocking programs and the development of the native fish breeding industry. Indeed, it was for this purpose that Uarah Fisheries was established in 1977. 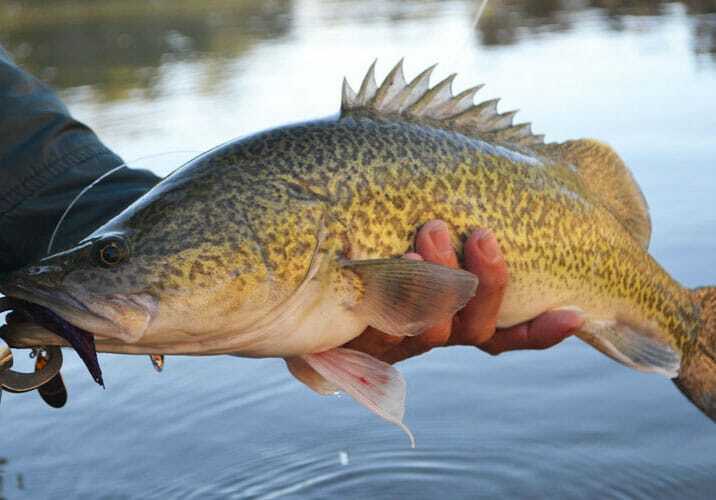 Today, recreational fishing for Murray cod continues under heavy restrictions. Murray cod are one of the most prized recreational fishes in Australia, and are extremely sought-after by renowned fine dining restaurants in Australia and around the world. The Murray cod is listed as a critically endangered species by the International Union for Conservation of Nature, and as a vulnerable species by the Australian Society for Fish Biology and under Australian law, as per the Environmental Protection of Biodiversity and Conservation Act 1999 (Cth). Murray cod had suffered severely from commercial overfishing from the mid 1800’s, with government records showing drastic declines in numbers from the late 1800’s to the 1950’s. While commercial fishing has now ceased, recreational overfishing is still a problem. Habitat destruction has also affected the feeding and breeding of Murray cod, while irrigation and water regulation practices regularly decimate Murray cod larvae populations. Furthermore, dams and weirs provide physical impairments to fish movement in the river, and invasive species such as Redfin are known to prey on Murray cod larvae, and can potentially introduce viruses and diseases into wild populations. Conservation efforts for Murray cod commenced in the 1970’s and continue to this day, helped by restocking programs that release Murray cod fingerlings into strategic areas of the Murray-Darling Basin. These fish are bred and raised in specialised hatcheries, notably including Uarah Fisheries, and state-funded programs in New South Wales and Victoria. Since 1977, Uarah Fisheries (then known as Uarah Warm Water Fish Hatchery), has contributed greatly to the annual restocking programs in New South Wales and Victoria, producing over 1 million Murray cod fingerlings annually since the 1980’s. Due to the various and significant pressures on wild populations of Murray cod, commercial breeding and aquaculture provides both an environmental solution and alternative, both in terms of restocking of fingerlings into the wild population each year, and also in terms of providing a sustainable and reliable source of Murray cod table fish. Indeed, the commercial production of Murray cod table fish is viewed extremely favourably by the NSW Department of Primary Industries, which has noted that “wild caught Murray cod was always the highest priced fish on the Sydney Fish Market floor” and that “[t]he appearance of cod as well as its premium taste suggests this product will do well exported to Asia”. Meanwhile, after pioneering the Murray cod aquaculture industry in the late 1980’s, Uarah Fisheries continues to be widely regarded as the highest-quality producer of Murray cod in the industry. For over 25 years, Uarah Fisheries has produced over 10 tonnes of premium quality Murray cod annually, with most being sold to premium wholesalers for the live and chilled markets. High in omega-3, and with firm, white flesh and creamy, umami-rich flavour entwined with mild, earthy tones, Murray cod has traditionally been recognised as one of the best-tasting and most nutritious Australian fish. Today, it is once again widely regarded by Australia’s best chefs as our most iconic and luxurious freshwater fish – suitable for both western and eastern cuisines. In the domestic market, Murray cod is supplied by premium seafood retailers in Sydney and Melbourne, and has become prevalent in the menus of Australia’s best restaurants. Indeed, we are currently in the midst of a nostalgia-inducing resurgence in the eating of Murray cod, with indications that Murray cod may one day take the place of Barramundi as Australia’s premium freshwater fish of choice. Meanwhile, the export potential of Murray cod is similarly immense. In our own experience, we have received direct expressions of interest in Murray cod from numerous overseas aquaculture businesses, wholesalers, restaurants, hotels and consumers. 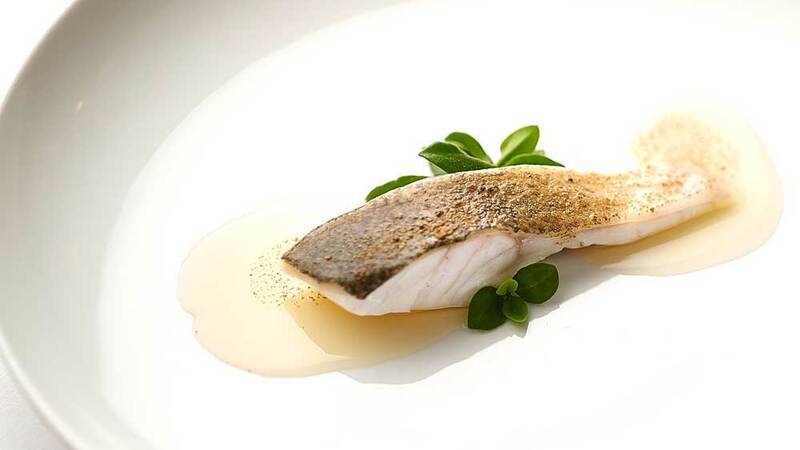 Taste tests, conducted by the State Government of Victoria, Department of Natural Resources & Environment as early as in 2001, have indicated that the taste profile of Murray cod is especially pleasing to the consumer markets of Japan, Hong Kong, Taiwan and Singapore. This is also confirmed by the feedback that we, Uarah Fisheries, have independently received from taste testing initiatives in the Chinese market over 2015 and 2016. The golden perch, also known as yellowbelly, is a medium-sized, gold-coloured Australian freshwater fish species. 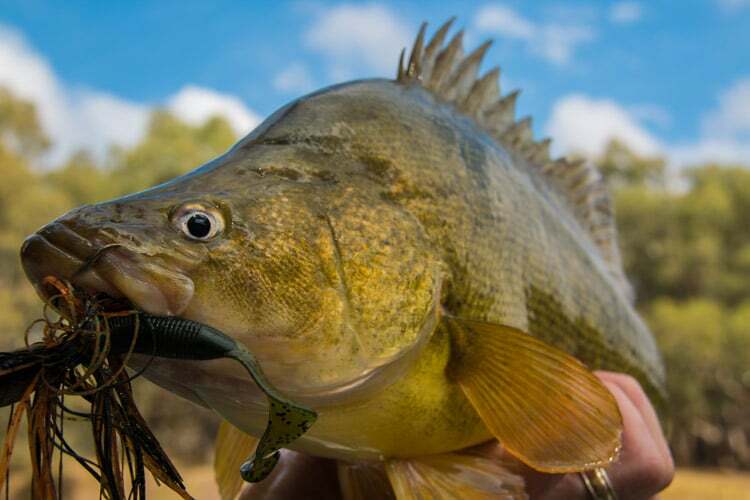 Golden perch are found throughout the Murray-Darling Basin, and are generally sympatric with Murray cod. The largest specimens have been recorded to reach 23 kilograms in weight and over 76 centimetres in length, though most golden perch grow to around 5 kilograms in weight and 40 centimetres in length. Like many other Australian native fish, golden perch are very long-lived – with the maximum record at 26 years of age. The golden perch is a very tolerant fish species, being to live in temperatures as low as 4°C and as high as 37°C, and even in salinities of 33,000 parts per million, almost that of seawater. Golden perch are generally very active, such that very long migrations are part of their ecology. Adult fish have been recorded has having migrated more than 1,000 kilometres. The golden perch is listed as being a vulnerable species under Australian law, as per the Flora and Fauna Guarantee Act 1988 (Vic). Golden perch populations have suffered due to dams, weirs and other manmade obstructions blocking migration flows, and interfering with the historical flooding of the Murray-Darling Basin that was intrinsically important to the golden perch’s lifecycle. Indeed, research suggests that, prior to the modern settlement of Australia, huge shoals of golden perch roamed the entire lowland and slope reaches of the Murray-Darling Basin, unimpeded by manmade barriers. Alarmingly, the number of manmade barriers in the Murray-Darling Basin was estimated to be around 4,000 in 2007 by the Murray-Darling Basin Authority. Conservation efforts for golden perch commenced in the 1970’s and continue to this day, helped by restocking programs that release golden perch fingerlings into strategic areas of the Murray-Darling Basin. These fish are bred and raised in specialised hatcheries, notably including Uarah Fisheries, and state-funded programs in New South Wales and Victoria. Since 1977, Uarah Fisheries (then known as Uarah Warm Water Fish Hatchery), has contributed greatly to these restocking programs, producing over 2 million golden perch fingerlings annually since the 1980’s. Even today, the majority of golden perch aquaculture is focused on fingerling production for restocking programs, though some commercial fish farms have begun producing golden perch table fish non-intensively, in outdoor ponds. However, research is currently being undertaken by the Queensland government into the feasibility of producing golden perch intensively. The golden perch is a valued angling species, known for its firm flesh and delicious flavour. It is considered to be a premium freshwater fish species, with market prices higher than that of silver perch and barramundi, and second only to that of Murray cod. 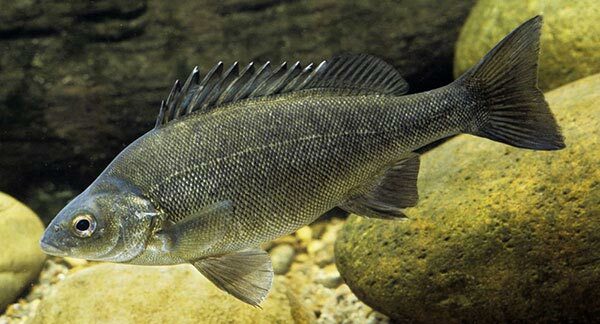 The silver perch is a medium-sized, silver-coloured freshwater fish species, endemic to the Murray-Darling river system in south-eastern Australia. The silver perch’s scientific name originates from an Aboriginal name for the species, “Bidyan”, recorded by explorer Sir Thomas Mitchell during his first expedition in 1832. Silver perch have been recorded as growing to almost 8 kilograms in weight and over 60 centimetres in length, but most modern wild mature specimens range between 1 to 1.5 kilograms in weight and 30 to 40 centimetres in length. Like most other native fish endemic to the Murray-Darling Basin, silver perch are very long-lived, with the oldest recorded specimen dated to have been 27 years of age. Silver perch are a highly migratory species, and their extensive migratory tendencies are recognised as part of their spawning behaviour. Adult silver perch have been recorded as migrating over 680 kilometres in just 19 months. The silver perch is listed as a critically endangered species under Australian law, as per the Environmental Protection and Biodiversity Conservation Act 1999 (Cth). Though once prevalent throughout the Murray-Darling Basin, silver perch populations have undergone a rapid and drastic decline since the 1970’s – almost to the point of extinction in the wild. Based on modern estimates, silver perch have disappeared from 87 per cent of its former range. Manmade barriers like dams and weirs, as well as river management practices, obstruct the migratory tendencies of silver perch and have removed the conditions that they require to breed. Meanwhile, competition for food with introduced species and the introduction of foreign pathogens are also suspected of having a drastic effect on silver perch populations. Conservation efforts for silver perch commenced in the 1970’s and continue to this day, helped by restocking programs that release silver perch fingerlings into strategic areas of the Murray-Darling Basin. These fish are bred and raised in specialised hatcheries, notably including Uarah Fisheries, and state-funded programs in New South Wales and Victoria. Since 1977, Uarah Fisheries (then known as Uarah Warm Water Fish Hatchery), has produced up to 2 million silver perch fingerlings annually since the 1980’s. Silver perch are a highly-suitable table fish aquaculture species due to their rapid growth and high survival rates. 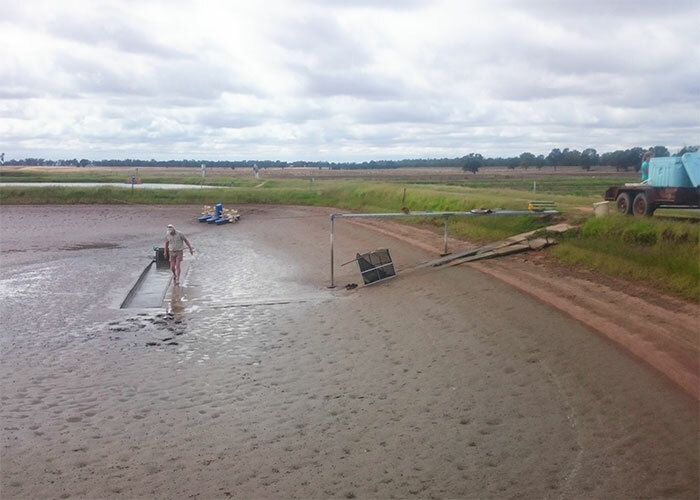 Currently, the majority of silver perch table fish aquaculture is conducted in outdoor, earthen ponds rather than in intensive RAS environments. In comparison to Murray cod and golden perch, silver perch is also comparatively simpler to raise due to its omnivorous diet and ready acceptance of artificial feed. As a result, silver perch table fish is produced in significantly higher volumes than Murray cod or golden perch, and generally fetches lower prices – though still comparable to that of barramundi. At Uarah Fisheries, though we have produced large volumes of silver perch table fish in the past, our current production is primarily-centred on supplying restocking programs along the Murray-Darling Basin. Silver perch are an excellent eating species, with a clean white flesh that is suitable for a wide range of cooking methods. Silver perch is especially suited to Asian cuisine as a “banquet” fish, though more recently, the chilled market for filleted larger silver perch has also seen some development. © TEXT SOUTHFORD PTY LTD. ALL RIGHTS RESERVED.